This video is about red-backed shrikes. These birds nest in Europe. The author of an article on Henry Ford’s anti-semitism was fired. 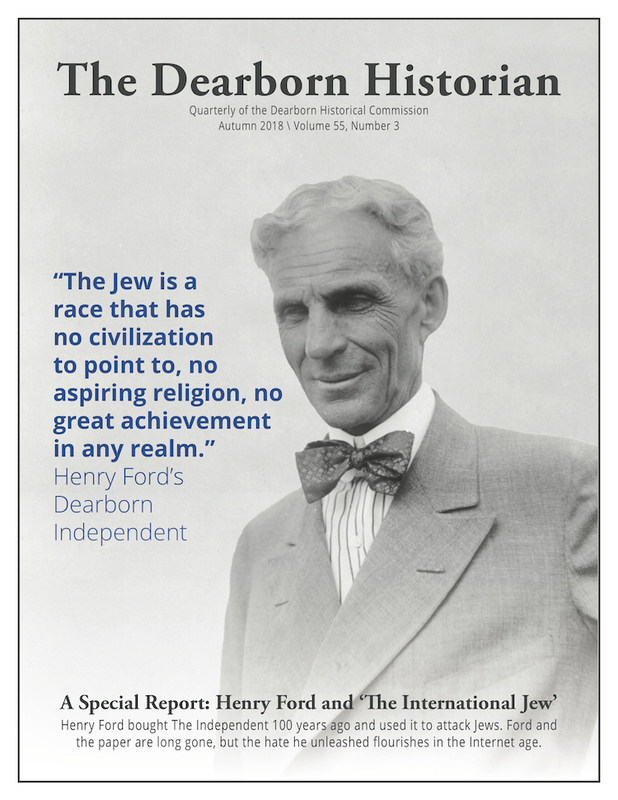 The city of Dearborn, Michigan last week suppressed an edition of a local historical journal that detailed the promotion of extreme anti-Semitism by auto magnate Henry Ford (1863-1947) in his newspaper the Dearborn Independent during the 1920s. 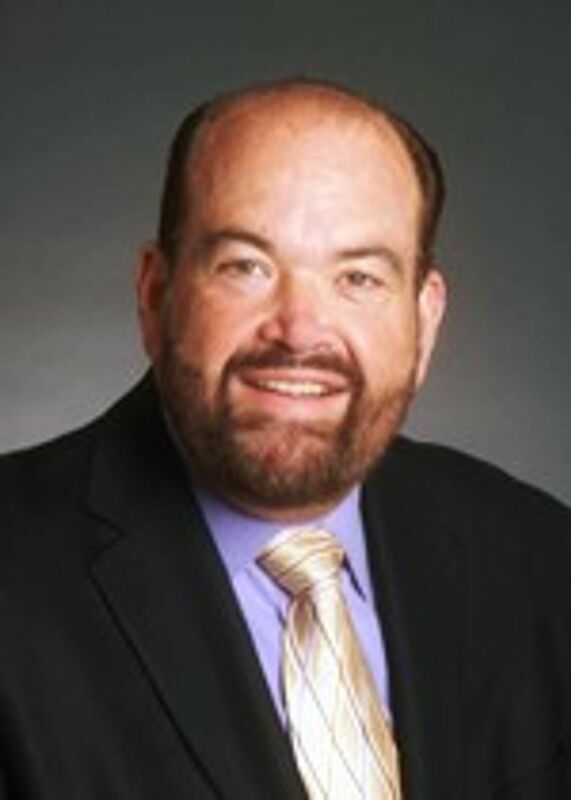 The city also terminated the contract of the article’s author, Bill McGraw, who previously had a 31-year career as a writer and editor at Detroit’s major daily newspapers. 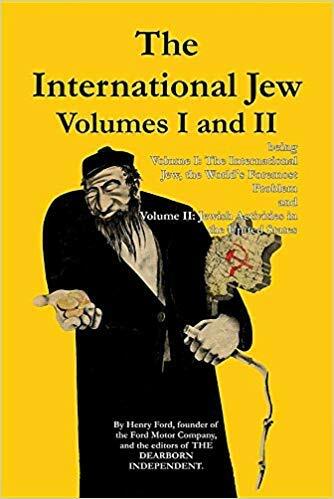 The censored journal describes how, beginning in 1920, Ford’s newspaper began publication of a series of articles that came to be titled The International Jew, which claimed that a Jewish conspiracy controlled world finance and “Bolshevism”. McGraw’s article describes the connections between Ford’s anti-Semitism and Hitler’s National Socialist (Nazi) party, as well as to far-right organizations in the present day. Mayor John B. “Jack” O’Reilly ordered a halt to distribution of the quarterly publication, The Historian, and saw to the removal of McGraw, who was also the journal’s editor. The printed journals, which had been ready for distribution to their 230 subscribers, were sent back to the printing plant. O’Reilly, a Democrat who once served as a staffer to Congressman John Dingell, made no attempt at a legal justification for his grossly anti-democratic action. “It was thought that by presenting information from 100 years ago that included hateful messages—without a compelling reason directly linked to events in Dearborn today—this edition of The Historian could become a distraction from our continuing messages of inclusion and respect,” he said in a statement issued last Friday. Mayor O’Reilly interpretation of words like “inclusion and respect” appears to be that Jews should not ‘moan’ about anti-Semitism; African Americans should ‘quit bitching’ about slavery and Ku Klux Klan lynchings; LGBTQ people should be silent about homophobic violence; and anti-nazis should ‘respect’ nazis or else be labelled ‘terrorists’ by the FBI (like happened recently in California). Since Henry Ford moved his headquarters to Dearborn a century ago and built there his mammoth River Rouge plant—for a time the world’s largest single industrial complex—Dearborn has been, in all but name, a company town. Even today, in a city whose population is only 95,000, Ford employs roughly 50,000—at its Rouge manufacturing facility, its corporate headquarters, and its Visteon parts maker. Ford is by far the largest property holder and taxpayer. Organizations that purport to defend Jews against anti-Semitism such as the American Israel Public Affairs Committee (AIPAC) and the Anti-Defamation League (ADL), which regularly denounce as anti-Semites public figures who dare to express concern over Israel’s oppression of the Palestinian population—have been silent on the city of Dearborn’s actions, though the local Michigan branch of the ADL mustered a statement requesting that the mayor “reconsider” the journal’s suppression. It did not ask for McGraw’s reinstatement. Whatever his intentions, Mayor O’Reilly’s effort at censorship backfired. 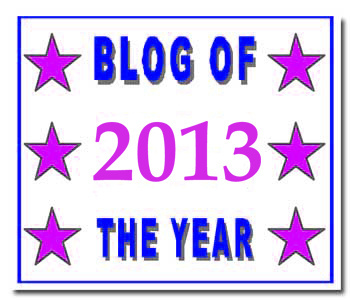 A web page posting McGraw’s article has been visited tens of thousands of times. The article is worth reading. Marking the 100th anniversary of the first issue of the Dearborn Independent under Ford’s ownership, the article details how the newspaper served as a platform for vicious slanders against Jews—and how these contributed to the Nazi movement in Germany and to current far-right tendencies. Ford, who himself wrote a weekly column in the paper, used his celebrity, as well as millions of dollars of his own money, to promote both the newspaper and its anti-Semitic writings. Ford’s anti-Semitism, as Hitler’s, was completely bound up with his anti-communism and fear of socialist revolution. Ford was notorious for using his own private army of gangsters and thugs—the notorious Ford Service Department headed by Harry Bennett—to spy on and smash up early efforts to unionize his plants. 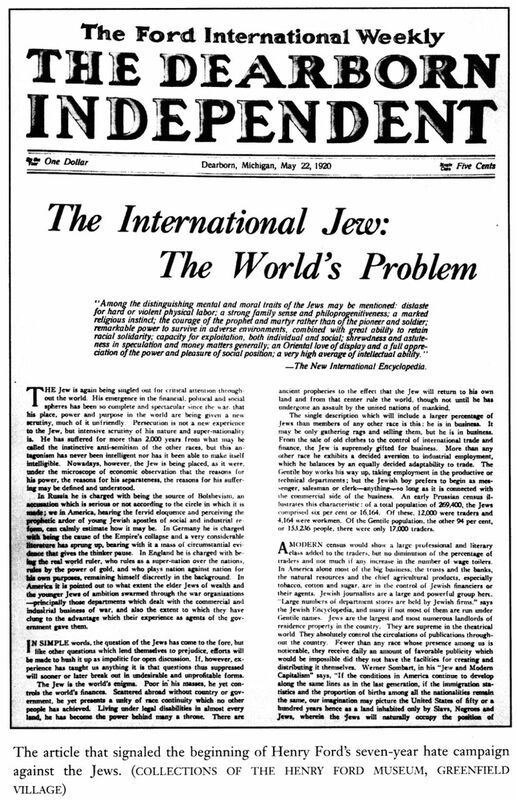 In the spring of 1920, the Dearborn Independent launched a series of articles called “The International Jew: The World’s Problem”. These articles revived the Czarist Russian forgery known as “The Protocols of the Elders of Zion”. They were assembled in a book, The International Jew, which sold two million copies and was published in 12 languages. In his article, McGraw notes that Hitler kept a portrait of Ford on his wall, that he called Ford his “inspiration” in a 1931 interview with the Detroit News, and that he praised Ford even within the pages of Mein Kampf, where the automaker was proclaimed the “one great man” who held out against the alleged Jewish “masters” of the American trade union movement. 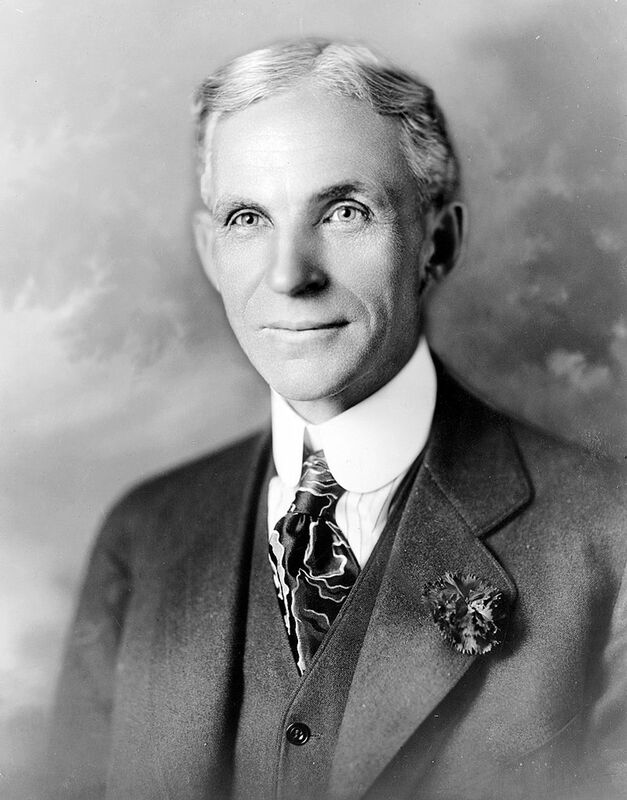 Henry Ford Was Anti-Semitic. Bill McGraw Wrote About It — And Got Fired: here. Amazon sells the book Les Juifs, nos maîtres! by 19th century anti-Semitic French priest E.-A. Chabauty. In certain locations around the reef, often over the top of prominent corals such as is the case here, cleaner wrasse will set up a cleaner station. Fish become habituated to this and display over the station by spreading their fins and changing colour indicating they wish to be cleaned. The cleaner wrasse swim up and oblige, getting a free meal in the process as they clean parasites, dirt and the fishes’ wounds. Here, a cleaner wrasse interacts with its reflection in a mirror placed on the outside of the aquarium glass. Note that the mirror itself cannot be seen in this photo because the aquarium glass itself becomes reflective at the viewing angle of the camera. A species of fish, the cleaner wrasse (Labroides dimidiatus), responds to its reflection and attempts to remove marks on its body during the mirror test — a method held as the gold standard for determining if animals are self-aware. The finding, published on February 7 in the open-access journal PLOS Biology, suggests that fish might possess far higher cognitive powers than previously thought, and ignites a high-stakes debate over how we assess the intelligence of animals that are so unlike ourselves. The study’s researchers from the Max Planck Institute for Ornithology (MPIO) and Osaka City University (OCU), say that their results provide clear evidence of behaviours that appear to pass through all phases of the mirror test, but that the interpretation of what these mean is less clear: Does a ‘pass’ mark in the mirror test demonstrate that fish possess self-awareness — a cognitive trait thought only to be present in primates and some other mammals? Or can the mirror test be solved by very different cognitive processes than previously thought? “The behaviours we observe leave little doubt that this fish behaviourally fulfils all criteria of the mirror test as originally laid out. What is less clear is whether these behaviours should be considered as evidence that fish are self-aware — even though in the past these same behaviours have been interpreted as self-awareness in so many other animals,” says Dr Alex Jordan, senior author on the study. The ability to perceive and recognise a reflected mirror image as self (mirror self-recognition) is considered a hallmark of cognition across species. To test for this phenomenon in fish, the researchers applied the classic ‘mark’ test to the cleaner wrasse (Labroides dimidiatus) — a marine fish best known for its behaviour of “cleaning” external parasites from client fish — by placing a coloured mark on fish in a location that can only be seen in a mirror reflection. In order to gain a ‘pass’, the test requires that the animal must touch or investigate the mark, demonstrating that it perceives the reflected image as itself. This is clearly a challenge for animals such as fish that lack limbs and hands. The researchers observed that fish attempted to remove the marks by scraping their bodies on hard surfaces after viewing themselves in the mirror. Fish never attempted to remove transparent marks in the presence of a mirror, or coloured marks when no mirror was present — suggesting that marked fish were responding to the visual cue of seeing the mark on themselves in the mirror. Further, unmarked fish did not attempt to remove marks from themselves when interacting with a marked fish across a clear divider, nor did they attempt to remove marks placed on the mirror itself — suggesting that fish were not innately reacting to a mark resembling an ectoparasite anywhere in the environment, for instance due to hard-wired feeding responses. One day before a five-day humanitarian cease-fire is supposed to take effect in Yemen, a Moroccan war plane is shot down near the Saudi border. Morocco withdraws from the military coalition that is fighting in Yemen under the leadership of Saudi Arabia. This is reported by anonymous government sources to news agency AP. They also say that the ambassador in Riyadh has been recalled. In recent times the relationship between the kingdoms has been strained, including about the course of the war in Yemen and the murder of Washington Post columnist Jamal Khashoggi. Last month, the Moroccan foreign minister already said that Rabat then had another role within the coalition. He also suggested that the government frowned upon the recent visits of the Saudi Crown Prince Mohammed to other Arab countries. Mohammed bin Salman was under heavy pressure at the time of his travels, because of the strong suspicions about his involvement in the killing of Khashoggi. A government official says to AP that Morocco has refused to receive the crown prince. The reason for this was the busy agenda of the Moroccan king. This 7 February 2019 video is called Ancestor to modern day sparrows flew around 52 million years ago. Summary: The ‘perching birds‘, or passerines, are the most common birds in the world today — they include sparrows, robins, and finches. They used to be very rare. Scientists have just discovered some of the earliest relatives of the passerines, including a 52-million-year-old fossil with a thick, curved beak for eating seeds. Most of the birds you’ve ever seen — sparrows, finches, robins, crows — have one crucial thing in common: they’re all what scientists refer to as perching birds, or “passerines”. The passerines make up about 6,500 of the 10,000 bird species alive today. But while they’re everywhere now, they were once rare, and scientists are still learning about their origins. In a new paper in Current Biology, researchers have announced the discovery of one of the earliest known passerine birds, from 52 million years ago. “We were able to show that a comparable diversity of bill types already developed in the Eocene in very early ancestors of passerines,” says co-author Gerald Mayr of the Senckenberg Research Institute in Frankfurt. “The great distance between the two fossil sites implies that these birds were widespread during the Eocene, while the scarcity of known fossils suggests a rather low number of individuals,” adds Ksepka. While passerine birds were rare 52 million years ago, E. boudreauxi had the good luck to live and die near Fossil Lake, a site famous for perfect fossilization conditions. 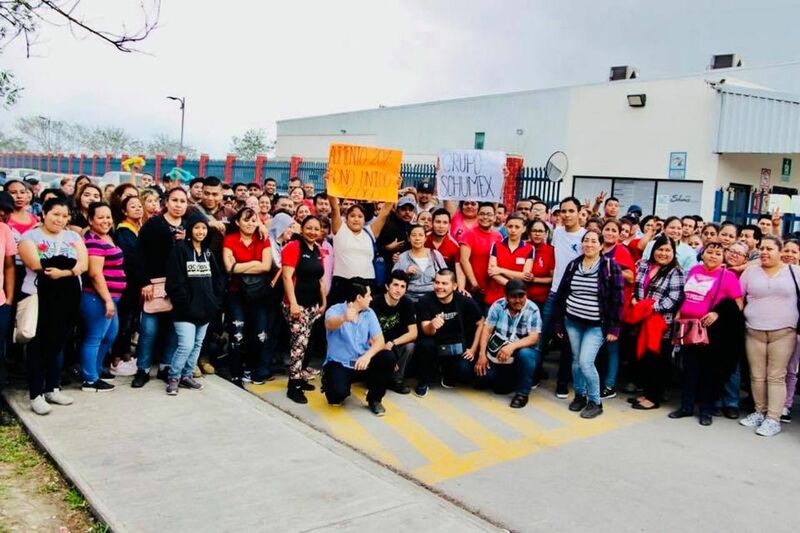 The courage and victory of the initial strike wave of 70,000 workers at 45 “maquiladoras” in Matamoros, Mexico has inspired new and broader sections of workers to go on strike. According to government statistics, over the past week 40,000 more workers have launched wildcat strikes in a rebellion … while the vast majority of workers at the original 45 striking plants have now won their demands. The walkouts now encompass auto parts, electrical, trash collection, supermarket, textile, food processing and other workers. The movement is growing in the direction of a general strike. 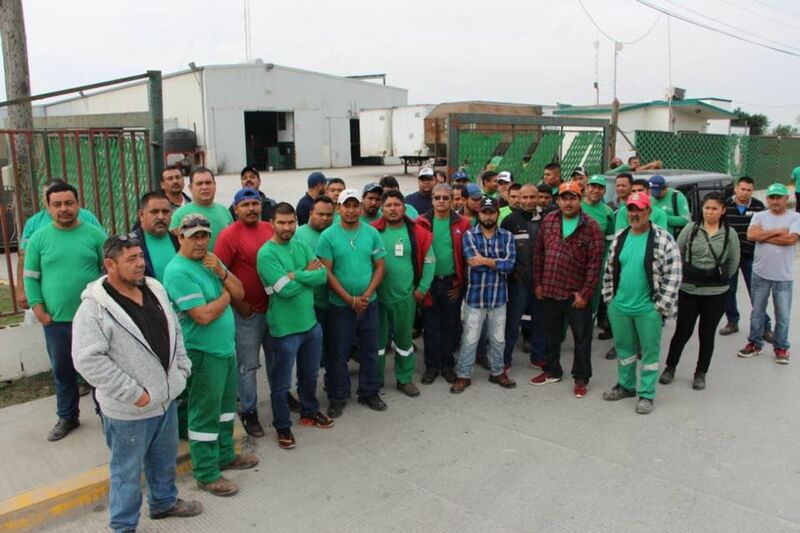 The renewed wave of strikes takes place after workers at 41 of the 45 plants organized by the Union of Laborers and Industrial Workers of the Maquiladora Industry (SJOIIM) rebelled against the union and the companies and won a 20 percent wage increase and a 32,000 peso ($US1,700) bonus, or what the workers call their “20 and 32.” Based on this initial shot across the bow, workers from another 32 companies have followed suit and have launched their own wildcat strikes. Significantly, the strikes are taking place even though workers from the Industrial Union of Workers at Maquiladora and Assembly Plants (SITPME) and the Union of Workers in the Maquiladora and Assembly Industry (STIME) did not have a yearly bonus pegged to increases in the minimum wage stipulated in their contract, which was the initial impetus for the first strike wave on January 12. Instead, workers are fighting with a conscious understanding that they deserve more from the corporations that exploit their labor 12 hours a day, 6 days a week for less than a dollar per hour. The extent of the strike demonstrates the commonality of interests between all sections of workers, regardless of their industry or other secondary traits. It is part of a global resurgence of the class struggle after decades of its suppression by the trade unions and takes place as autoworkers in the US, Canada, Latin America and Europe are engaged in a struggle against plant closures, layoffs and other concessions. Some of the plants on strike include auto parts manufacturers Tridonex, Adient, FisherDynamics, and Tricon. The multi-industry work stoppage continues to expand day by day. 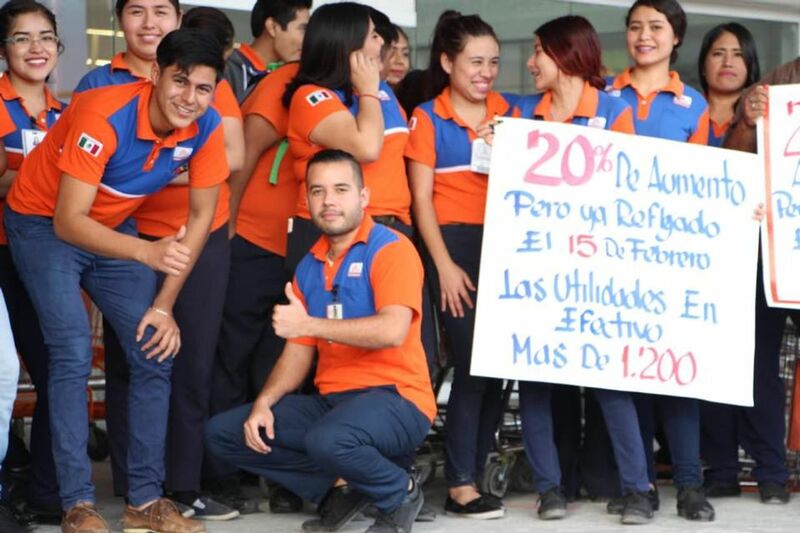 In the past three days, 500 supermarket workers from Soriana and Chedraui—the second and fourth largest grocery chains in the country—have walked out. Walmart workers are rumored to join the strike in the coming days. Meanwhile, hundreds of workers at Coca-Cola, Vakita milk and Blanquita purified water plants are entering the fifth day of their strikes. 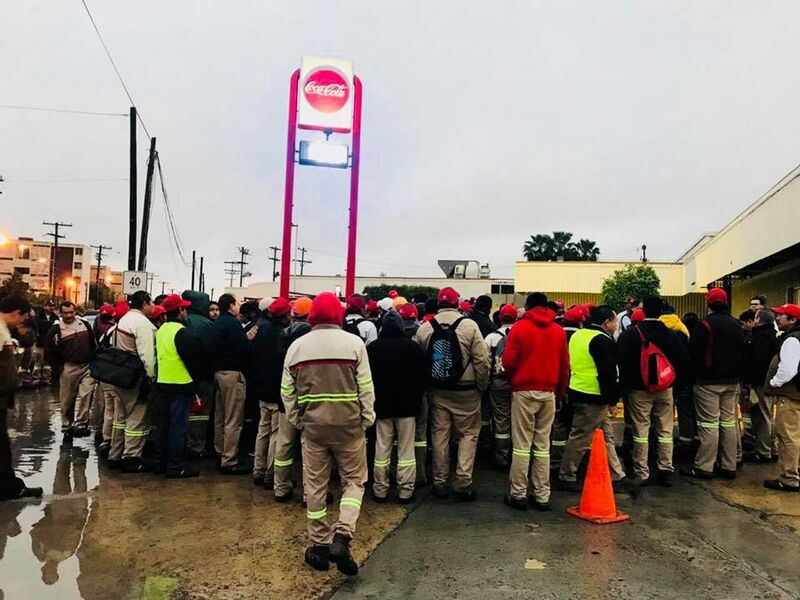 About 500 drivers from the Coca-Cola plant in Matamoros, the company’s second largest bottler in Latin America, denounced the fact that they are often forced to work overtime without pay and are charged for bottles that are broken in transit. “We end up losing, not earning money here,” workers said. At Vakita milk, some 200,000 liters of dairy products are not being delivered per day as a result of the strike. The strike has even spread to public service workers. On Wednesday, Matamoros’ trash collection workers went on strike to demand their own wage increase and bonus. With some 70 workers on strike, 450 tons of trash were collected only through emergency measures implemented by the mayor throughout the day. At the same time, there are growing calls for workers at the original 45 plants to go back out on strike to defend the 600 workers that were fired as a reprisal for the strike, many of whom were leaders of the factory committees. The expansion and defense of their gains pits workers against the entire economic and political system of capitalism. The ruling elite is terrified of the scope of the strikes and what they presage: an international resurgence of the class struggle to fight against intolerable levels of inequality, expanding militarization, and attacks against social services. Above all, the growing strike wave must unite with workers across the Americas, including US and Canadian workers who are objectively linked to the Matamoros workers through the economic process of production. We urge workers to attend and support the February 9 demonstration by autoworkers in Detroit, Michigan, which is being held with the perspective of unifying the working class across borders. The reality of capitalism: General Motors makes $11.8 billion in profits while closing plants, eliminating 14,000 jobs: here. A new oviraptorosaur species from the Late Cretaceous was discovered in Mongolia, according to a study published in February 6, 2019 in the open-access journal PLOS ONE by Yuong-Nam Lee from Seoul National University, South Korea, and colleagues. Oviraptorosaurs were a diverse group of feathered, bird-like dinosaurs from the Cretaceous of Asia and North America. Despite the abundance of nearly complete oviraptorosaur skeletons discovered in southern China and Mongolia, the diet and feeding strategies of these toothless dinosaurs are still unclear. In this study, Lee and colleagues described an incomplete skeleton of an oviraptorosaur found in the Nemegt Formation of the Gobi desert of Mongolia. The new species, named Gobiraptor minutus, can be distinguished from other oviraptorosaurs in having unusual thickened jaws. This unique morphology suggests that Gobiraptor used a crushing feeding strategy, supporting previous hypotheses that oviraptorosaurs probably fed on hard food items such as eggs, seeds or hard-shell mollusks. Histological analyses of the femur revealed that the specimen likely belonged to a very young individual. The finding of a new oviraptorosaur species in the Nemegt Formation, which consists mostly of river and lake deposits, confirms that these dinosaurs were extremely well adapted to wet environments. The authors propose that different dietary strategies may explain the wide taxonomic diversity and evolutionary success of this group in the region.